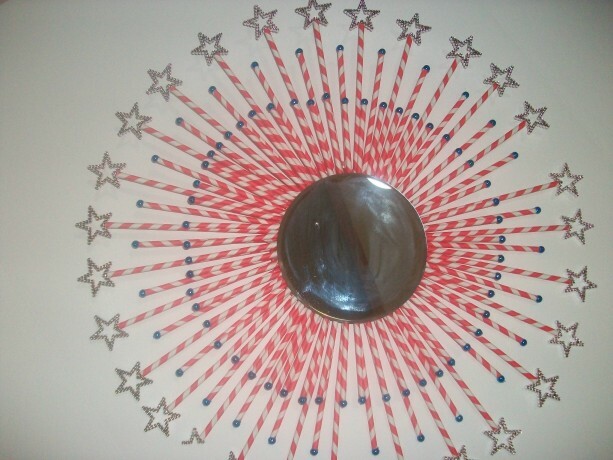 This Star Burst is made from red and while striped drinking straws. A dowel has been placed in each straw to strengthen it. It is finished off with sparkley stars and a mirror in the center. 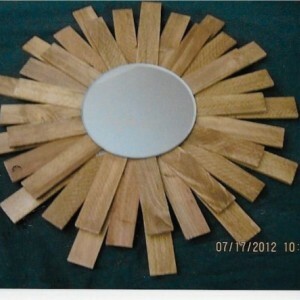 It is great to use for patriotic holidays or put in a bedroom as part of the permanent decor. Straws do come in different colors and patterns and you can contact me by e-mail for that choice (e-mail: wando3@cableone.net).